A. Yes You Can, Painter Decorator is on the Medium & Long Term Strategic Skills List which opens several visa pathways for Migrating to Australia. Every occupation on the MLTSSL and STSOL is assigned an immigration code and the code for those looking to migrate to Australia as a Painter Decorator is 332211. This is also known as the ANZSCO Code for a Painter Decorator. 332211 Australia Migration Code Description: Applies paint, varnish, wallpaper and other finishes to protect, maintain and decorate surfaces of buildings and structures. Registration or licensing may be required. Minimum qualifications required to migrate to Australia as a Painter Decorator. According to ANZSCO those looking to migrate to Australia as a Painter Decorator must demonstrate qualifications equivalent to Skills Level 3 on the Australian Qualification Framework (“AQF”). If you’re migrating to Australia from the UK as a Painter Decorator you’ll be expected to have at least NVQ Level 3 and if you’re looking to migrate from South Africa to Australia, you’ll need an Advanced National certificate. Generally, we’ll be looking at you having over three years’ experience although time spent in training or on an apprenticeship can count towards this time. Am I eligible to Migrate to Australia as a Painter Decorator? Age 45 = Not eligible for skilled migration although may still be eligible for Permanent residency status via the TSS Visa. We will always make an application across the State Sponsored visa class of Permanent Residency so by using Australia Made Simple add in a further 5 or 10 points as required. 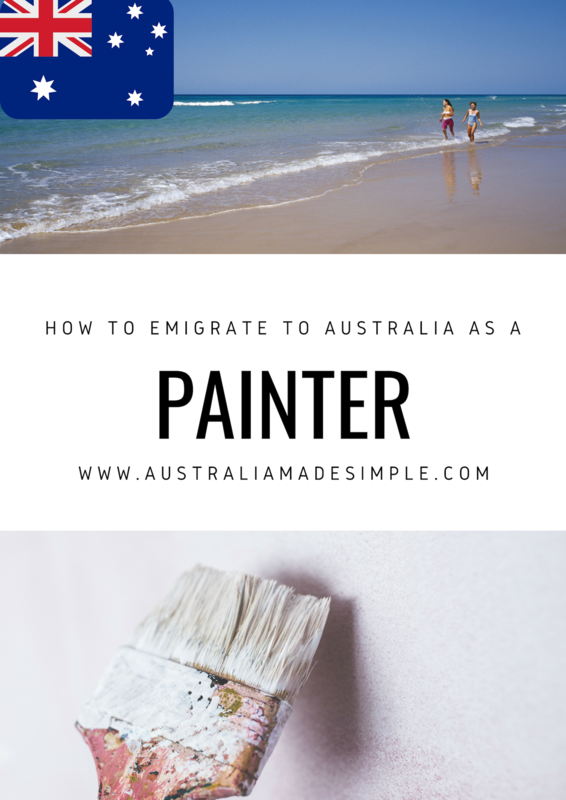 What is the process to migrate to Australia as a Painter Decorator? 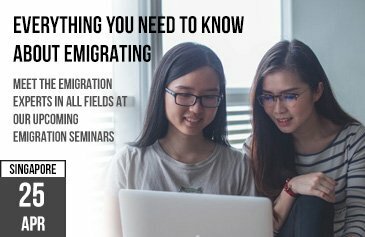 Once you’ve satisfied ANZSCO and calculated a minimum of 60 immigration points it’s time to start looking at getting your migration case underway. Let’s Go Global have a 100% success rate with those in the Painter Decorator category looking to migrate to Australia. Stage one is the collation of a decision ready bundle of documents which can be used by the assessment body to evidence and substantiate your skills, training, qualifications and experience. Stage 2 – Skills Assessment to migrate to Australia as a Painter Decorator will usually be by technical interview or practical assessment. After receiving a positive Skills Assessment an Expression of Interest can be lodged which places you into a pool of candidates all looking to migrate to Australia as a Painter Decorator. It is important therefore that you build the strongest possible case to receive an invitation to apply for your formal skilled visa. 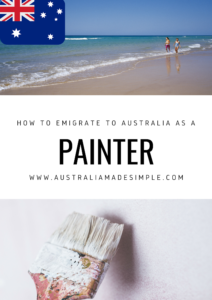 The final stage of your migration to Australia as a Painter Decorator is your formal application to the Department of Home Affairs after receiving an invitation to apply. At this stage police checks and medicals are required. What Emigration Australia Visas are available for a Painter Decorator? Can my family join me on a skilled visa? Yes, with the additional bonus that your partner may not even need to do a skills assessment in their own right for whatever occupation they hold. The rights and privileges afforded to the main visa holder are passed onto partners and children automatically. Painter Decorator is on the MLTSSL for Australia which means it’s eligible for the TSS Employer Sponsored Visa and whilst this visa is initially classed as temporary it can convert to fill Permanent Residency Status after three years. Occupation ceilings dictate how many skilled visas are issued to applicants in a particular year. For 2018 the occupation ceiling for Painter Decorators immigrating to Australia is 3,277. Do I need a job to Migrate to Australia as a Painter Decorator? Not usually. The 189 visa class does not require a formal job offer although some States and Territories do require this for the 190 subclass. The Job market in Australia for Painter Decorators remains constant and is expected to do so for the next five years. There are currently 63,700 Painter Decorators employed in Australia with the majority of these employed on a full-time basis. Unemployment for qualified Painter Decorators in Australia is below average. The average salary for a Painter Decorator is $30.66 per hour in South Australia. The average salary for a Painter Decorator is $56,351 per year in New South Wales. The average salary for a Painter Decorator is $31.03 per hour in Queensland. The average salary for a Painter Decorator is $57,522 per year in Victoria. The average salary for a Painter Decorator is $31.34 per hour in Western Australia. The peak industry body for qualified Painter Decorators in Australia is the Master Painters Association of Australia. Move to Australia as a Painter Decorator with Australia Made Simple. We only take on cases where our experts are positive of securing a successful outcome for you and your loved ones. At the start of this life changing journey you need to be armed with the facts, not have to listen to a long-winded sales pitch. After your free consultation you may decide to engage our bespoke fully managed Emigrate to Australia service. Our highly competitive fees are always fixed right from the start so there’s no nasty surprises along the way. • 360-degree legal advocacy and case management.